I know, sometimes I am taking you back and forth to places I’ve visited, but I often feel that there is too much to tell and show for one single blogpost. So please excuse me if I am annoying you with repetitive visits to some places and spaces. 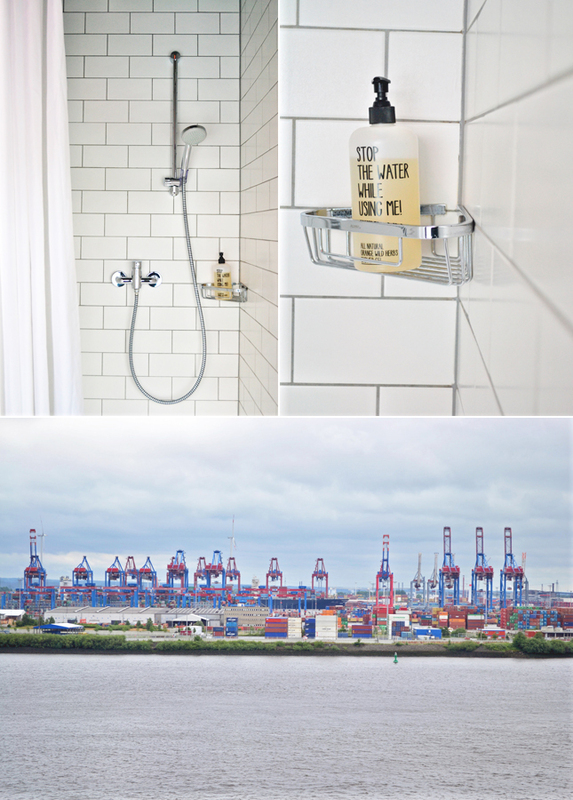 As you might have seen in my blogposts HERE and HERE, I traveled to Hamburg for a design weekend last month. 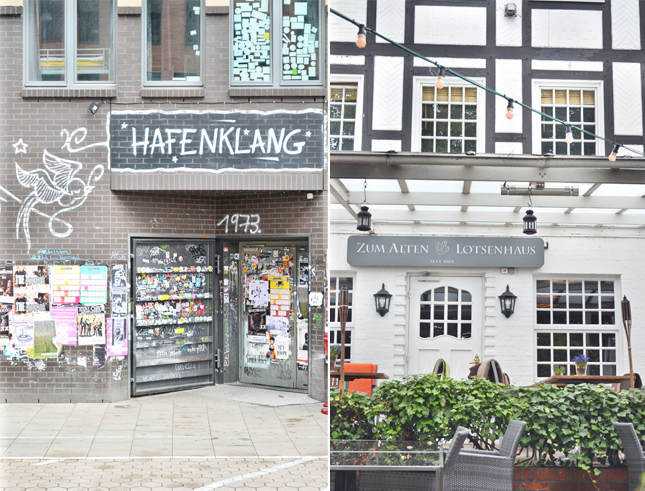 Not only did I enjoy a fun blogger event, but I also had the opportunity to discover a bit more of the maritime German city up in the north and meet up with some of my favorite local bloggers for a great dinner. 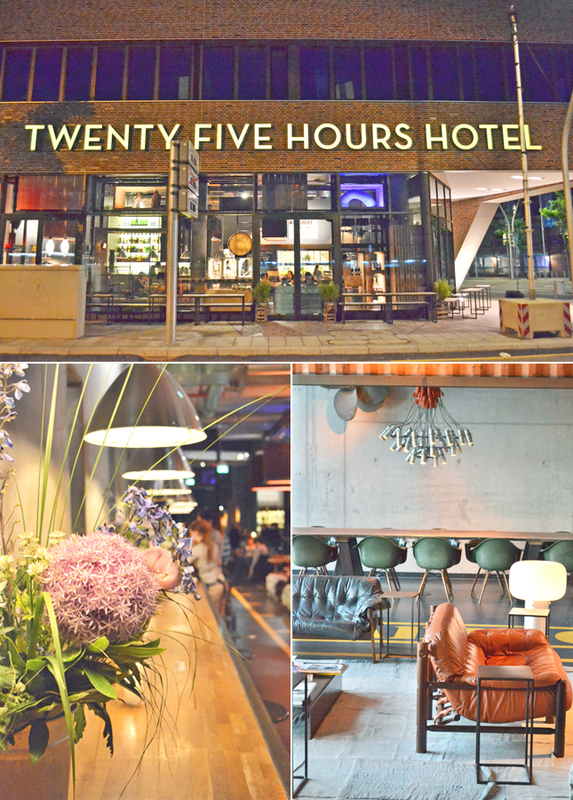 Today’s blogpost I would really like to focus on two discoveries – the new yet raggedly looking harbour area of Hamburg and a fabulous design hotel – the 25hours Hotel – which is a great choice if you ever happen to travel to Hamburg. Hamburg is a German city just like Munich where I live but oh so totally different. 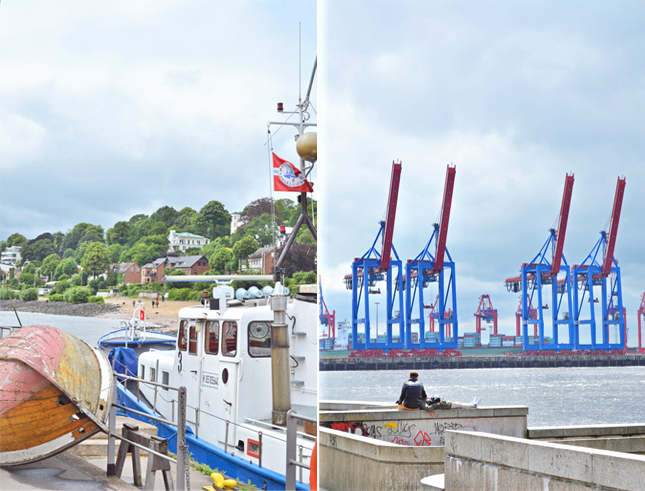 You can tell that Hamburg is a maritime place, especially when you walk around the harbour area with its brickwork buildings, the breezy waterfront, huge storehouses and numerous cruise liners and cargo ships. You can sort of smell the North Sea and feel the seamen’s presence around every other corner. 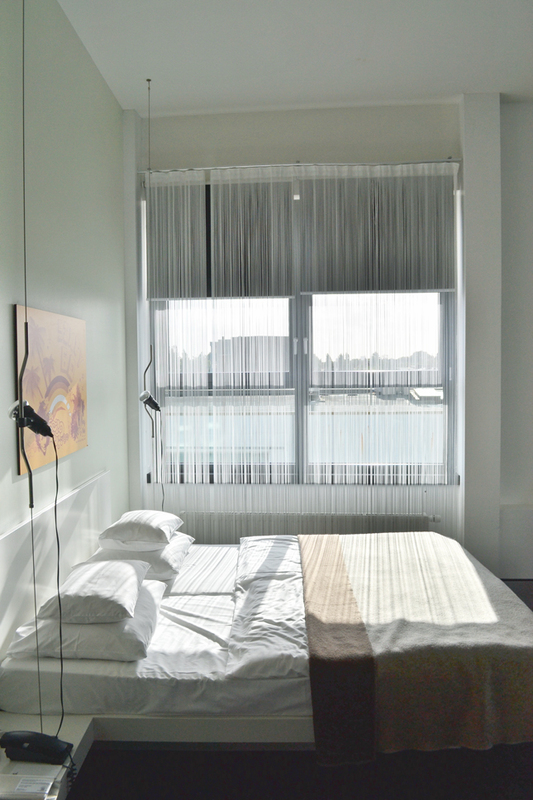 And in order to find the super stylish and designy ’25hours Hotel’ you just have to stay in the new harbour area. Actually, the hotel chain runs two houses in Hamburg, one hotel named ‘Number One’ in the city’s hip Western borough Ottensen, and the second one named ‘HafenCity’ in the harbour area. I was actually staying in the former, whereas we had a fab blogger dinner in the latter (most of the pics are from the harbour area hotel). 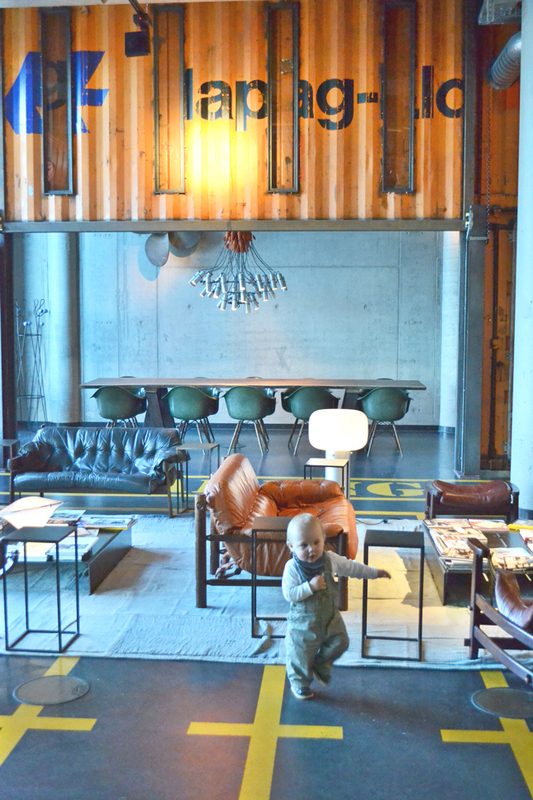 I was quickly drawn to the hotel’s design as I spotted many design classics, but I particularly loved the mix of styles and the reference to the location – the lobby features some old signage and containers from cargo ships and local wharves. 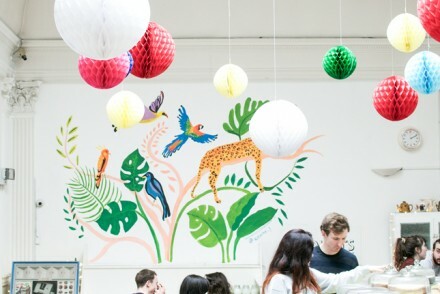 A little design shop sells international design magazines, books and various home accessories as well as local (cool) souvenirs. 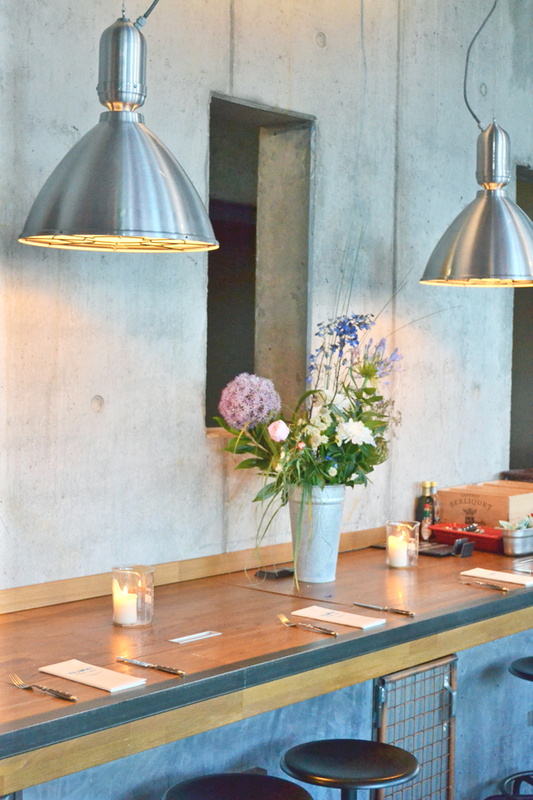 To make the experience complete, I was smitten by a wonderful service and delicious cuisine – I am still dreaming of the incredibly good wild herbs salad with creamy goat cheese. If I wasn’t munching on my ice cream right now while typing these words, I’d be drooling over my Macbook. But I digress. If my words haven’t convinced you, let the pictures speak for themselves and work the charm. 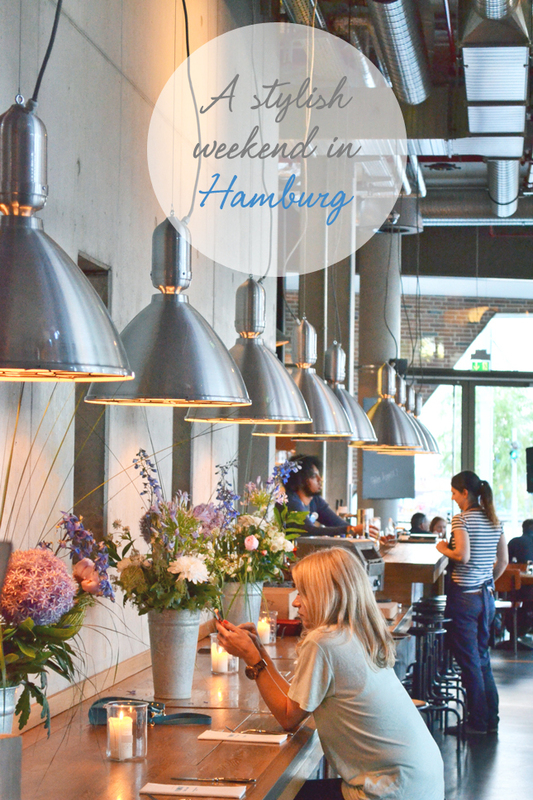 Hamburg is definitely worth a city weekend – you won’t be disappointed. And now, I will have to let you go back to your Monday routine – but don’t forget to face the new week smiling and happily content! 25hours Hotel looks like amazing place and I hope it was adventurous weekend for you. You crack me up…new yet raggedly-I like that! 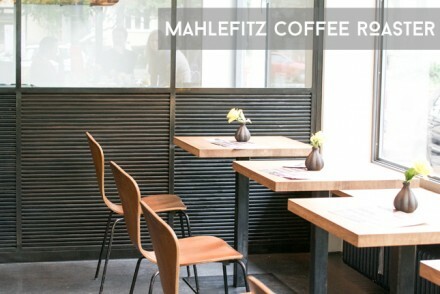 Hamburg looks like a greta place to explore. 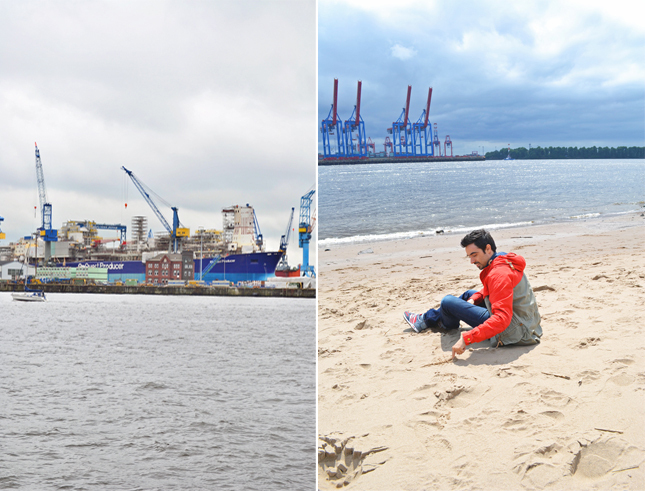 I have never visited Hamburg but in a way in reminds me of Antwerp, that is, the harbour part. 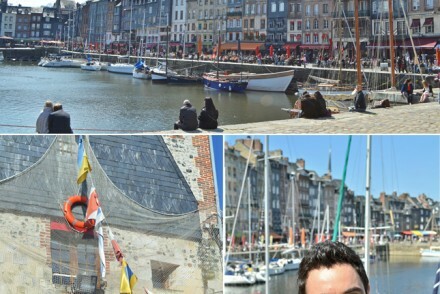 There is something so charming about the activity around harbours. Maybe it just reminds me of growing up in Reykjavik; we so often went for a drive on Sundays and bought ice cream and my father always drove by the docks. Lovely memories! You know what, Lisa: Iceland has been on my travel wish list since teenager days! I must make it to your fab island in the near future! I love to virtually travel with you – keep the “Place to Space” posts coming!!!! Oh lovely Hamburg! Somehow I missed this post. Your pictures are great. You have really captured the vibe of Hamburg. A bit gloomy but happy. We are heading for Hamburg on Saturday for 3 weeks.